Not a Techie, No Problem! This 14-Day Challenge was designed for you. You'll earn your investment back with just 1 sale. It's time to start making money while you sleep. CLICK BELOW if you're ready to Work ONCE & Profit FOREVER! How will this challenge be delivered? 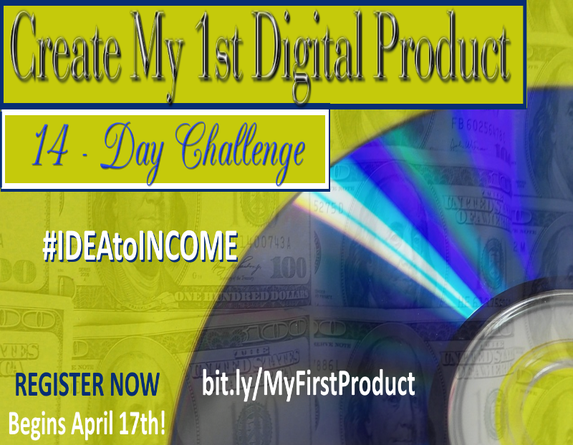 Each day you will receive a video illustrating an activity for you take in order to create your digital product. What type of digital product will be created? You will learn how to create a high quality PDF document that can be sold as an ebook. Where can I sell this ebook? You can sell it on your website and other sites online. You can also turn it into a physical book. Do I need my own website to participate in this challenge? No, you don't. I will show you sites where you can upload your ebook for sale with little or no investment. Yes! You may ask any questions that you have in our private Facebook forum. Do I need any special technical skills?